Is this Martin Bayer running FX? 3. Stable and easy to ajust? Personally I do not like short needle carbs. I have not had a Btt4 but i have had Keep Offs and Bonitos... In my experience both the FX and Novas have great power. The FX has an extremely smooth powerband where as my Novas we either top or bottom. Durability? I havent had to do any maintenance on my FXs after 5 gallons but probably ready for a pinch but conrod is still fine. Ive never kept a Nova long enough to give a review of long term durability but I believe they actually suggest you change the conrod after break in in their manual but maybe not anymore. I have not had a Btt4 but i have had Keep Offs and Bonitos... In my experience both the FX and Novas have great power. TFueX has an extremely smooth powerband where as my Novas we either top or bottom. Durability? I havent had to do any maintenance on my FXs after 5 gallons but probably ready for a pinch but conrod is still fine. Ive never kept a Nova long enough to give a review of long term durability but I believe they actually suggest you change the conrod after break in in their manual but maybe not anymore. Novas are really great engines but more sensitive to tuning. 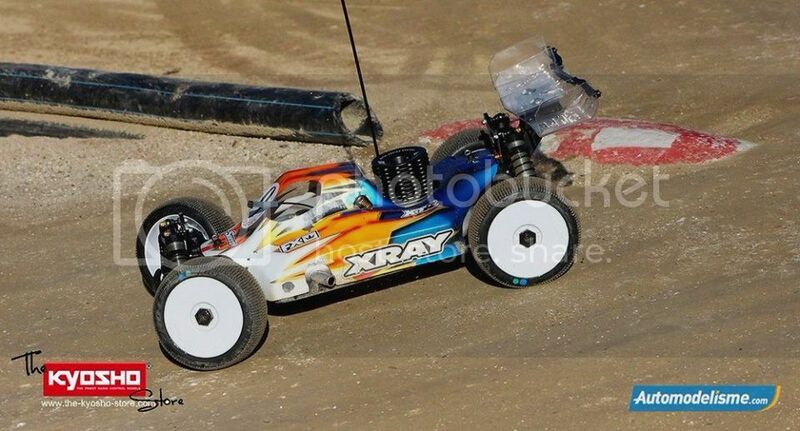 FX are MUCH more forgiving.The Nova conrod and crankpin haven't the best lifespan. I would say mileage are similar between my FX and BTT engines (always +9 min). I thought it was time to change the conrod on my preproduction FX after 3 gallons. When I got the new conrod, I could only measure a difference between the new and old in the range of 0.03 mm. Absolutely no wear on the crankpin. Last edited by Lille-bror; 01-28-2015 at 01:38 PM. so true about the conrod, i opened mine up to replace mine and when i measured it the old one was the exact same measurement as the new one but everyone said "oh well there may be stress fractures you cant see blah balh" so i replaced it anyway but i dont think it was necessary. After about 5-6 gallons I am sending my FX for its first pinch but I dont think it will need much else. I own both an FX and a BTT and they both are easy to tune although the FX seems to be able to idle without loading up at all which I have never seen before. The are both reliable no issues with either needed resizes at about the same time although the FX took a little longer to break in. The FX has more bottom end and that is what I like and so I consider it a more all around engine although the smooth powerband of the btt and top speed help out on outdoor tracks. Fuel mileage I cant tell any difference. Novas just needs a hotter plug than #5 and #6 to stop load up. I have been running novas since about 1998. If you run too hot of a plug you can burn the plug up very fast in a nova. When I said the FX does not load up I meant I can start it and not even rev it up and let it idle as I wait for my run. It's pretty awesome. I don't think either is better than the other just different. guys i have a brand new in box clocked fx 5k will let it go for 375 plus 10 shipping STEAL they are 370 stock!!!!! I ran a 2058 on the fx engine this weekend. It is by far a much better choice than wither the 2108 or 2100. I don't think mileage is better but power delivery is far superior.